An old cliché would have us believe that nothing is inevitable except death and taxes. The Movement for Indefinite Life Extension (MILE) respectfully disagrees. Increasing numbers of people are coming to the conclusion that there is nothing natural or inevitable about the decrepitude and vulnerability that accompanies old age in humans. Nature already offers examples of ways to avoid our predicament. Many other animal species are negligibly senescent; they do not experience significant biological decay with time and have much longer life expectancies than we do. Scientific advances in biotechnology, nanotechnology, medicine, and computing offer humankind the possibility to radically extend lifespans beyond anything seen in history. Does this sound utopian or unattainable? That depends on your historical perspective. Inventions from the horseless carriage to powered flight were considered impossible by “experts” – until they became reality. Today we drive automobiles and fly on airplanes routinely. In a few decades – with sufficient determination, resources, and public support – we could be living much longer than any of our ancestors, while retaining our youthful vigor and resilience. Too many people fall prey to the unfortunate status quo bias – the assumption that the way matters happen to be today is the way they have always been and always will be. In fact, colossal changes are possible and happen all around us. Each generation finds itself in a dramatically different world. Chances are that you already lived through the revolution caused by the Internet and personal electronic technology. With the pace of technological, societal, intellectual, and political change accelerating, it is becoming increasingly apparent that the stability of the status quo is an illusion. We are always going somewhere: let us make it the best destination possible, and let us exert every effort to make sure that we get there as individuals. In a world of accelerating change, our bodies and minds will need to be enhanced and maintained in their prime in order to keep up with the improved knowledge and technology available – and to contribute to further improvements. This virtuous cycle will enable human beings to transcend limitations previously considered insurmountable, and to solve age-old problems: war, poverty, crime, pollution, tyranny, and the existential threat to our species from natural disasters and human follies. The longer people live, the more motivated they will be to think in the long term and to invest in the future. They will know that their actions will have consequences for them personally, not just for remote unspecified descendants. People will have more time to learn and to work – but also more time to enjoy life and follow their dreams. Almost everyone wants the good life. The MILE wants to help make that good life a reality. The job of the MILE is to show a clear path toward radical improvement for good people everywhere. The MILE embodies a combination of scientific, technological, philosophical, philanthropic, and even esthetic aspirations. 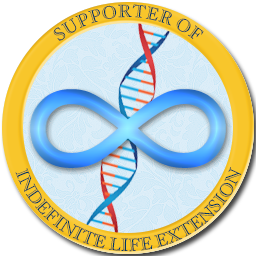 Every skill set – from research to public relations – can find an application to the grand goal of indefinite life extension. There is no single leader or hierarchy in the MILE. You can be a leader and an example to others through your work on one of the many fronts in the war on death and decay. 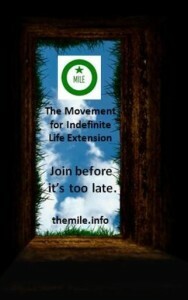 The MILE is a tolerant and diverse movement that welcomes a wide range of people and intellectual persuasions. Whatever your age, gender, culture, country of origin, place of residency, religion (or lack thereof), occupation, or lifestyle – as long as you love life and wish to cultivate and lengthen it, the MILE welcomes you. 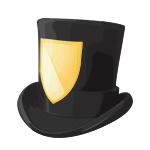 The MILE will deploy an increasing array of tools to help empower you and motivate you to contribute. By joining the MILE, you will not only become part of the most profound improvement in human history – indefinite life extension; you will also enjoy doing it. The future is in our hands. The innovations of our ancestors made possible our current historically high standards of living. Today we can take the next step and secure the future for those who are alive and wish to remain that way. Death is indeed not inevitable if we deploy knowledge, persistence, and persuasive skill in achieving the needed commitment from humankind.